Blazing speed to maximize your distance. Now with an even faster core, the HX Hot Golf Ball provides astounding ball speed for long-distance shots across a wide range of swing speeds. 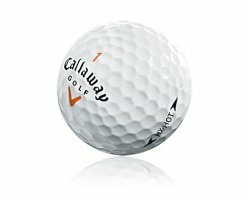 To improve on what already produced high-velocity distance, Callaway Golf engineers made the high-resiliency core on this unique 3-piece golf ball even faster. Combined with HEX Aerodynamics, the HX Hot Golf Ball goes farther than you might need. One pack includes one dozen golf balls. From Anonymous of Kirkland, Washington on 7/25/2007 . This ball carries further then any I've hit before! 7/25/2007 – Does this ball come in a 12 pack?